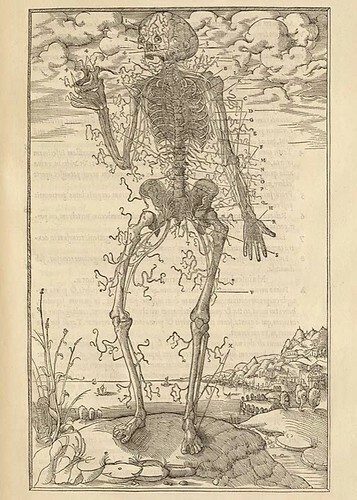 I discovered via the Biomedicine on Display blog that there is additional information available about the call for papers for the upcoming European Association of Museums of the History of Medical Sciences Conference (as discussed in a recent post here on Morbid Anatomy). Check out the website here; the due date for abstracts is April 15th. 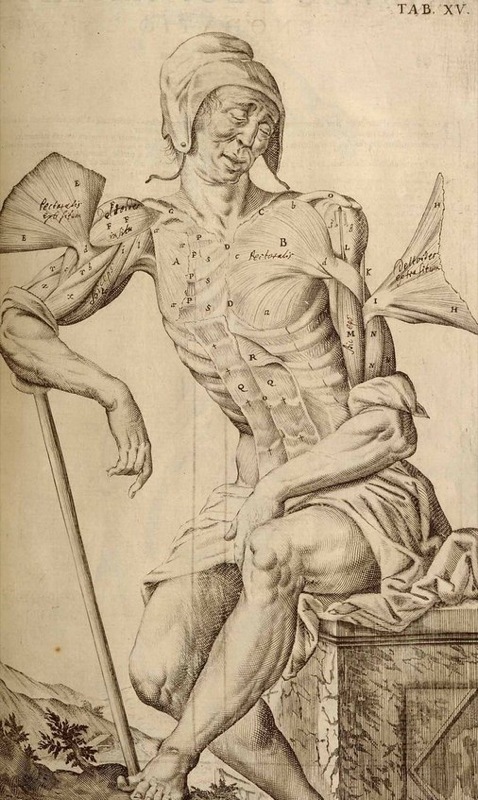 All images from the Anatomical Theatre exhibition. 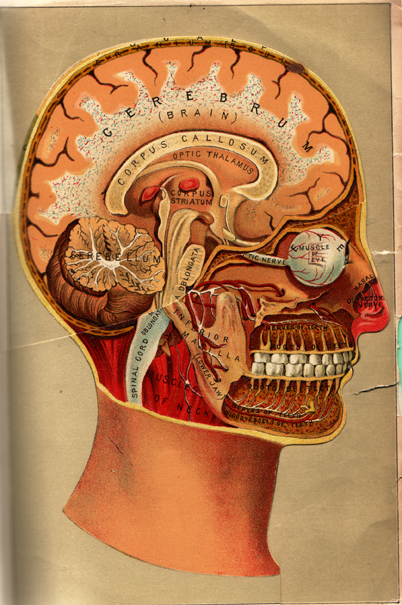 I happened upon a curious web-based project: a collection of "anatomical imagery" (broadly construed) arranged into a sort of loose narrative, interspersed with what appears to be the text from Bob Dylan's Shelter from the Storm. 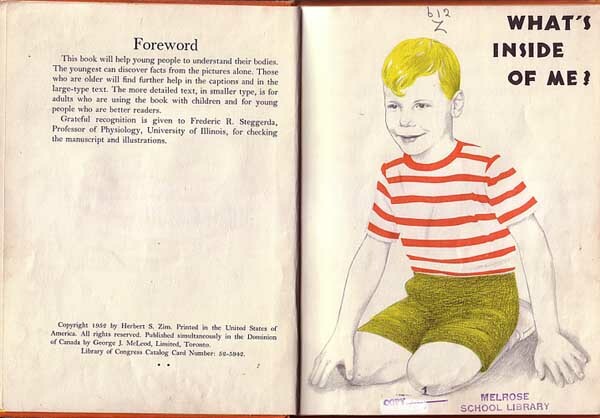 Its a very idiosyncratic grouping of images (the images above constitute a very small sampling) and is well worth a look, if only for the collection and variety of the images; check it out here on a blog called Dadadumdumdodo. 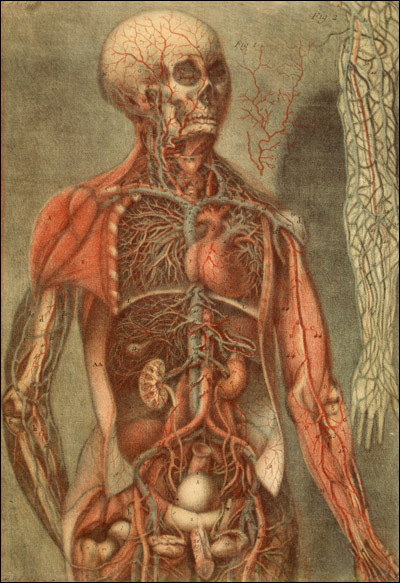 In a search for anatomical imagery, I came across a very interesting (if somewhat academic) on-line discussion of the "virtual representation" of the human body in medical science from the Enlightenment to the present. It is the work of John Bender, professor of comparative literature and a specialist in 18th-century literature at Stanford University, and this work appears to be part of a larger lineup of the Stanford University "Writing Science" session from 1998-1999. 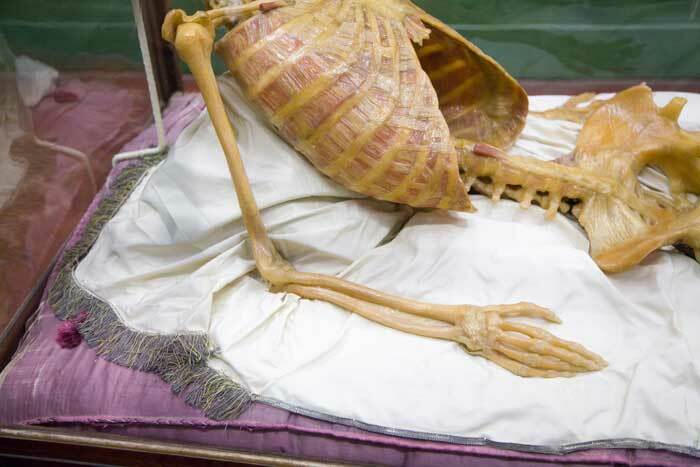 Check out his piece, entitled "Opening up a Few Corpses, 1795-1995," here. All images from the "Opening Corpses" website; more great images to be found on that page. 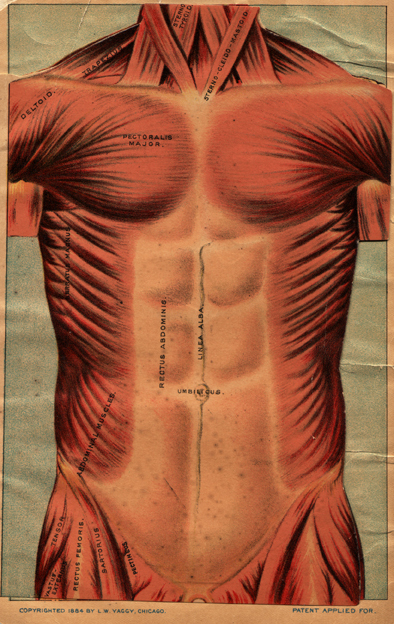 One of my favorite images from one of my favorite online exhibitions: the National Library of Medicine's Dream Anatomy. 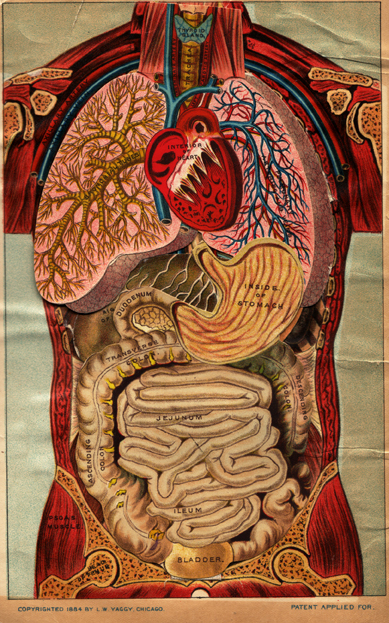 Called "Medical Anatomy...," this chromolithograph is the product of a collaboration between anatomist Francis Sibson and artist William Fairland. 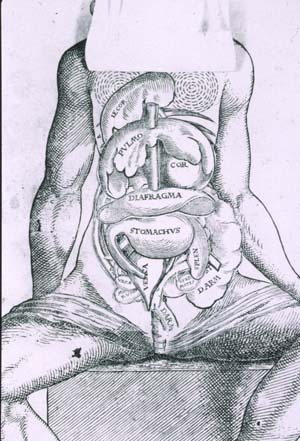 Sibson argued that anatomical illustrations are misleading because preservative injections and the dissection itself change the relative position of parts. 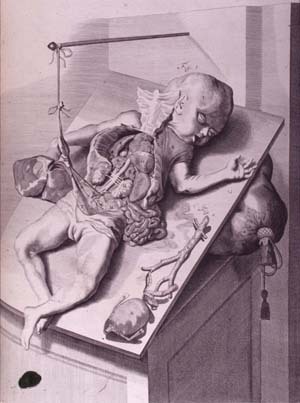 This double illustration is intended to show a true picture of the dead body alongside an imaginative reconstruction of the same interior in a living body. 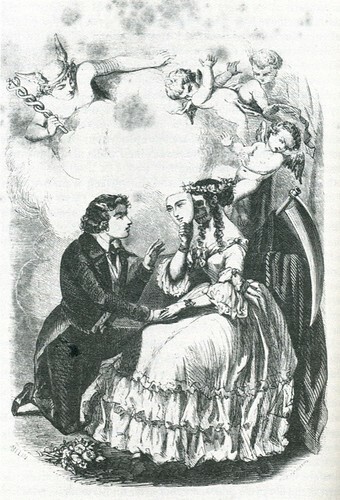 This painting brings to mind Edgar Allen Poe's memorable quote: "the death of a beautiful woman is unquestionably the most poetical topic in the world..." It seems this maxim could also--at least circa 1869-- be applied to a beautiful dead woman about to be dissected by a pensive anatomist. 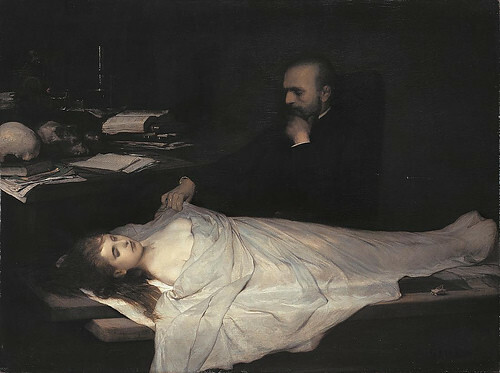 Learn more about the painter, Gabriel von Max, (who studied, among other things, parapsychology, somnambulism, hypnotism, spiritism, Darwinism, asiatic philosophy, and the ideas of Schopenhauer) here. See more images of his work here and here. Thanks to Ludmilla Jordanova, author of one of my new favorite (and recently cited) books Sexual Visions: Images of Gender in Science and Medicine Between the Eighteenth and Twentieth Centuries, for bringing this painting to my attention. 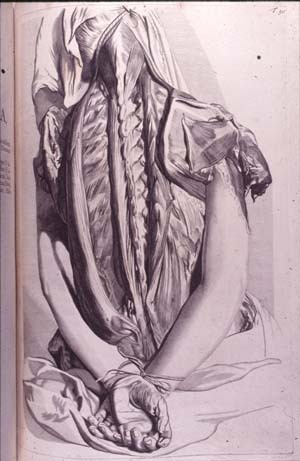 Check out the book for her compelling reading of this and other dissection paintings of the 19th Century featuring beautiful cadavers. 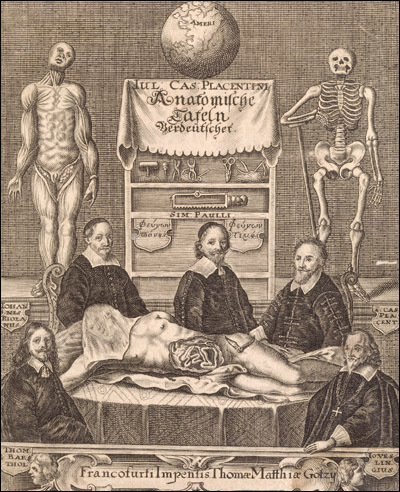 If this topic is of interest to you, you might want to check out a recent Morbid Anatomy post about a dissection print entitled Une Fin A l’Ecole Pratique. This one also compliments of the wonderful Matthias Grünewald. 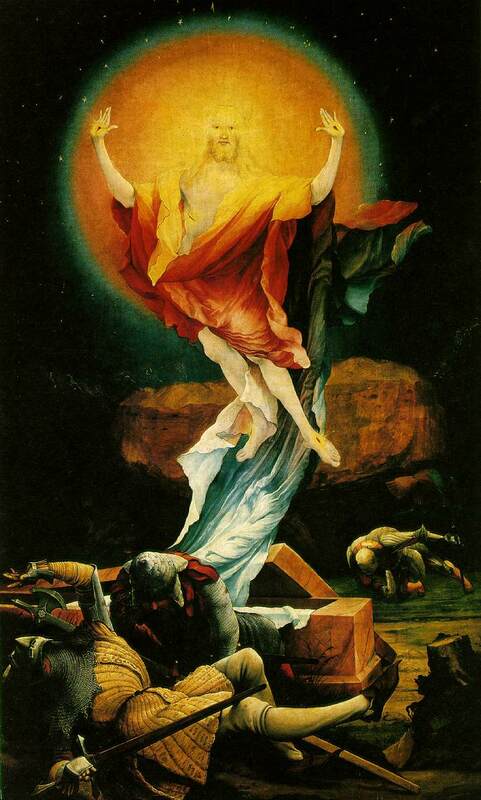 Resurrection,1510-1515. Crucifixion by Matthias Grünewald, Isenheim Altarpiece, 1515. 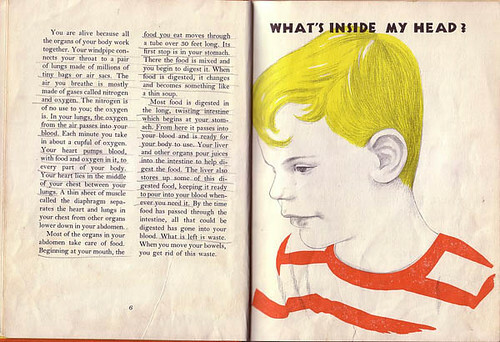 While doing a Google image search for images of girls on ponies (don't ask...), I stumbled across these images from Herbert S. Zim's anatomical children's book What's Inside of Me? on a blog called Look, See. 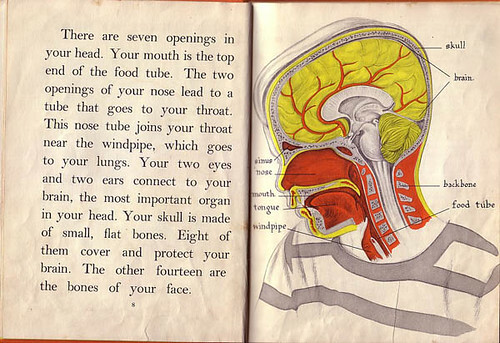 More spreads from the book (and others) reside in the Morbid Anatomy Library. A wonderfully evocative image illustrating--quite graphically--the dangers of syphilis in the form of seductive women, circa 1851. 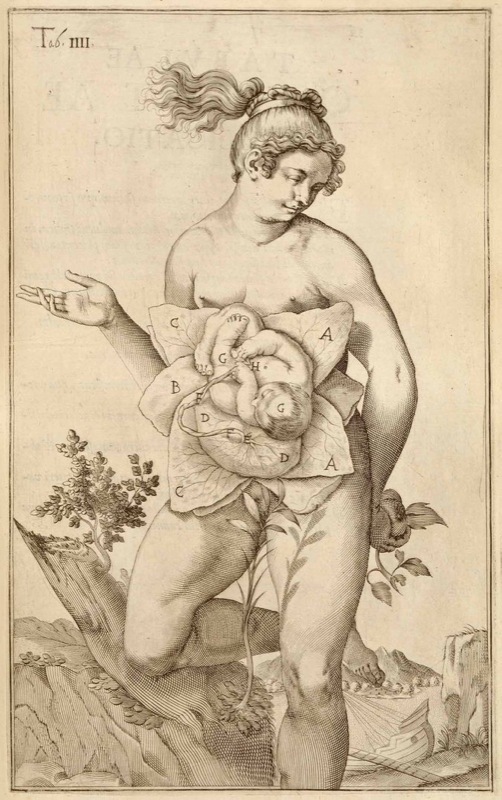 I came across this image, which serves as the frontspiece of A. M. Barthélémy's Syphilis: Poeme en Quatre Chants, in Ludmilla Jordanova's fascinating Sexual Visions: Images of Gender in Science and Medicine Between the Eighteenth and Twentieth Centuries. Two of my favorite things in one blog post! 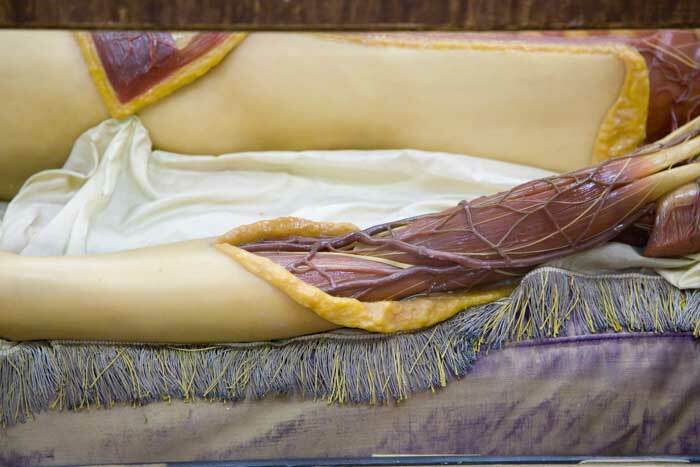 First, anatomical models, in this case those of Louis Thomas Jérôme Auzoux. 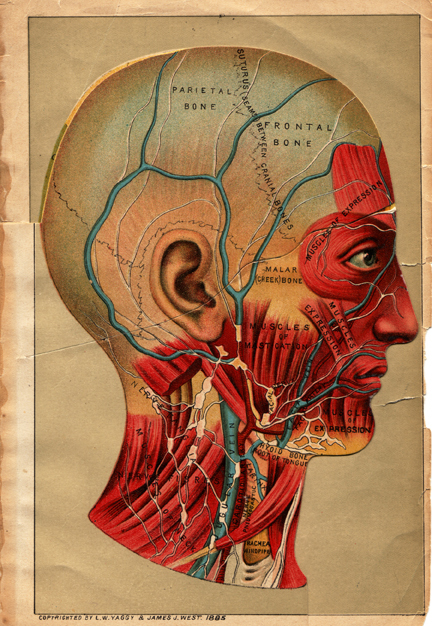 Second, New York City-Based purveyor of hair-art, anatomical prints, and yes, even a life-sized Auzoux anatomical model: Obscura Antiques and Oddities. 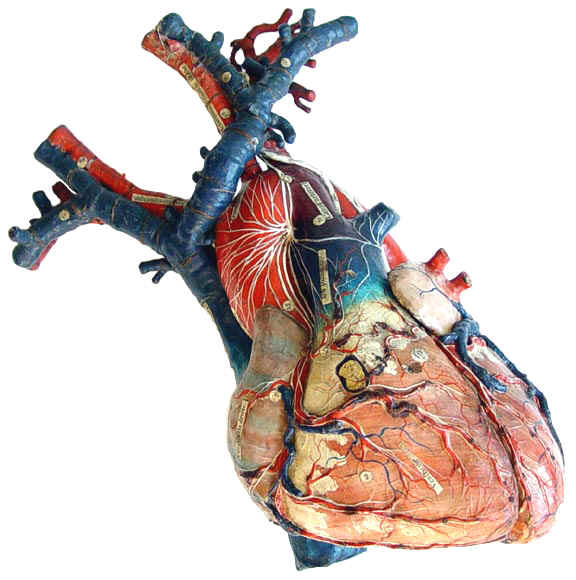 Check out yesterdays Curious Expiditions post "The Papier-Mache Anatomist" for a great introduction into Auzoux's work and career, as well as a inventory of some of Obscura Antique's many charms. 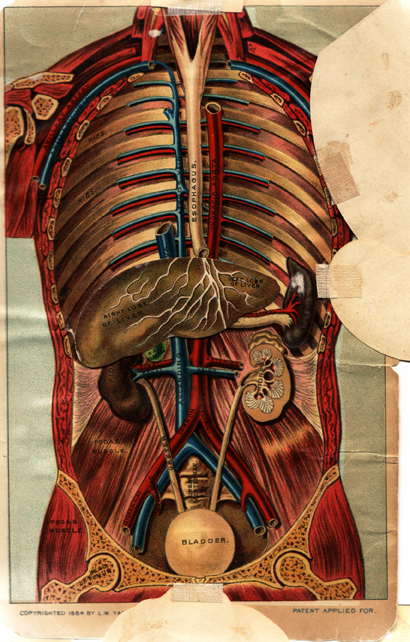 Above images: Assorted models of Louis Thomas Jérôme Auzoux, most from the wonderful Phisick Antique Medical Collection website. 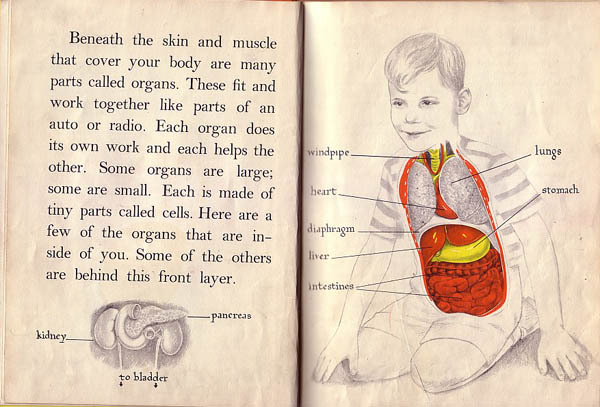 Thanks to Morbid Anatomy reader Ophelia Chong for alerting me to this wonderful anatomical flipbook residing in her Flickr ephemera collection. 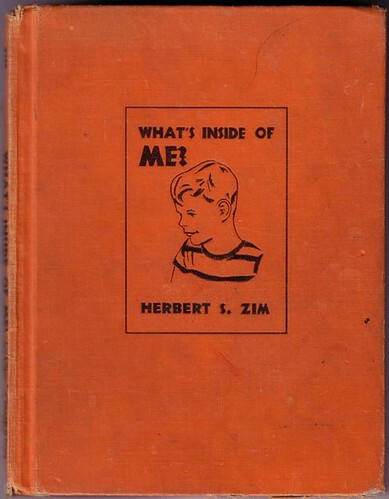 It was published by L.W. Yaggy & James J. West and dates from 1885. View her complete Flickr collection here. 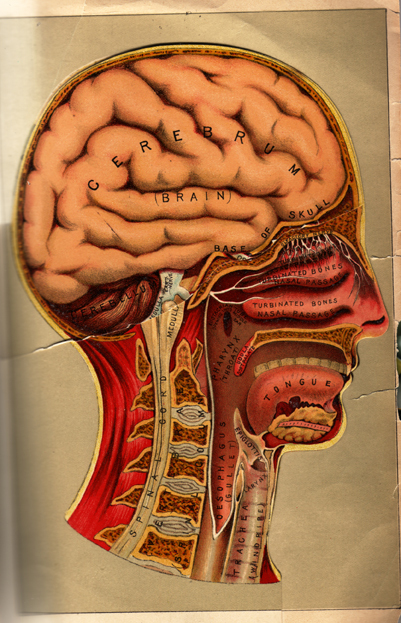 And check out her online portfoio for a nice use of anatomical imagery as navigation tools. Thanks, Ophelia! 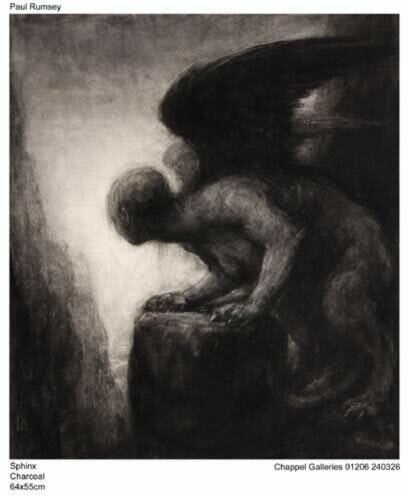 I made the acquaintance of British visual artist Paul Rumsey through the administration of this blog. 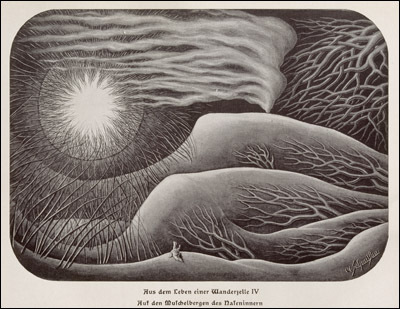 I have been quite taken with his work as well as his list of influences, which include some of my own favorites: Ernst Haeckel, Alfred Kubin, Francisco Goya, medical museums, Charles Baudelaire, "Belle Rosina," waxworks, Jorge Luis Borges, and many, many more. His work looks more 15th century fantasy or 19th century graphic print than anything from our own century; I mean that in the best of ways. The tradition of the grotesque is particularly alive in prints. The fantastic is especially suited to the graphic medium, and it is possible to track almost its entire history in etchings, engravings and woodcuts. A fine book The Waking dream: Fantasy and the Surreal in Graphic Art, 1450-1900 charts this progress through Holbein’s Dance of Death, the macabre prints of Urs Graf, the engravings of Callot, seventeenth-century alchemical prints, scientific, medical and anatomical illustration (I adapted the embryonic development diagrams of Ernst Haeckel for my drawing Species/Gender), emblems, the topsy-turvy world popular prints, Piranesi’s Prisons (which influence my architectural fantasies), Rowlandson, Gillray (whom I studied for guidance on how to draw caricature for drawings like my Seven Sins) , Goya, Fuseli and Blake, and into the nineteenth century with Grandville, Daumier, Meryon, Dore, Victor Hugo’s drawings and Redon. The tradition continues with the Symbolists and Richard Dadd, Ensor and Kubin, through to Surrealism, which recognised many of the artists of the grotesque and fantastic tradition as precursors. 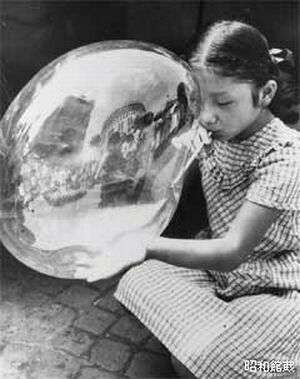 It is via Surrealism that much of this work has come to be appreciated. 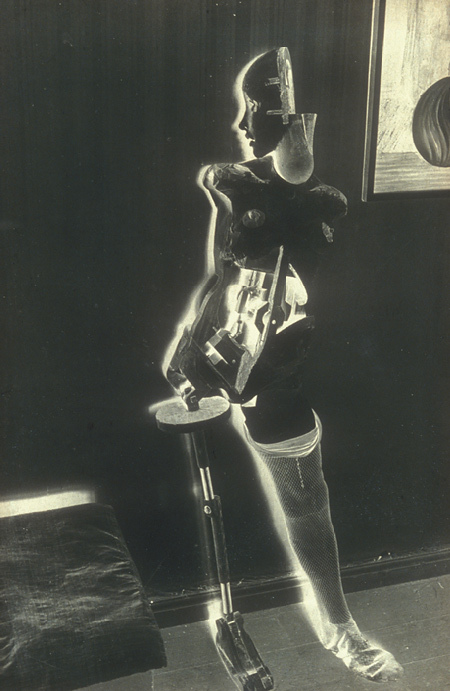 In the twentieth century this type of imagery has permeated culture, and is found everywhere, in diverse art forms including: the satiric installations of Keinholz, the drawings of A. Paul Weber, the cartoons of Robert Crumb, the animated films of Jan Svankmajer, photographs by Witkin, plays by Beckett, science fiction by Ballard, fantastic literature like Meyrink’s The Golem, Jean Ray’s Malpertuis, the art and writings of Bruno Schulz and Leonora Carrington, films by Lynch, Cronenberg and Gilliam; all are part of a spreading network of connections, the branching tentacles of the grotesque. 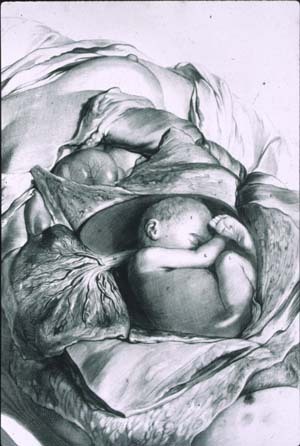 This is the tradition to which my work belongs, and when I am drawing I am aware of making connections with every strand of this tradition. 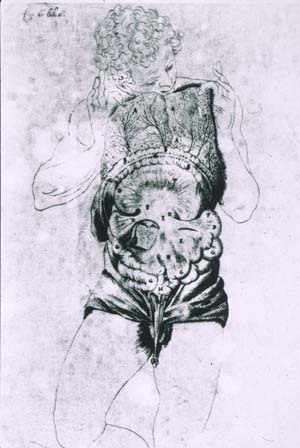 For example, when I was working on my skeleton drawings I thought back, via zombie movies, to the thousands of animated skeletons in art, from Posada and Kubin back to Bruegel’s Triumph of Death, and back further to the scene of necromancy in Lucan’s Pharsalia from the first century CE, a scene that influenced Shelley’s Frankenstein, which in turn influenced Romero’s Day of the Dead zombie movie. Check out more of Paul's work here, here, and here. Read the entire introductory essay from which the above quote is pulled here. University of Michigan Dental Library's "Flickr Dentistry Collection"
Wow... Another museum/library collection on Flickr! 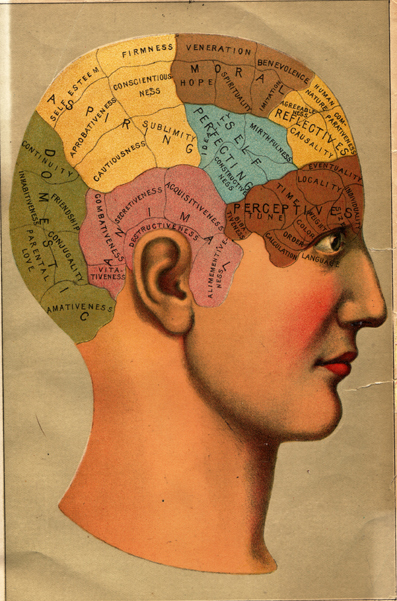 This one is called the "Flickr Dentistry Collection," and has been posted by Rosefirerising of the University of Michigan Dentistry Library. A very impressive collection, containing ephemera, magic lantern slides, books, trade literature, illustrations, images of museum displays, and more. Also some nice, fetishistic macro photos of text, graphic elements, marbelized paper, lovely end paper, bookplates, and all the details of old books that make libraries so wonderful. Thanks to a blog called Bookn3rd: Book History and Diversions Therefrom for calling my attention to this collection. Click here to peruse the entire collection, comprising 19 sets and over 1000 images. Well, well worth a visit. All images above from the collection.